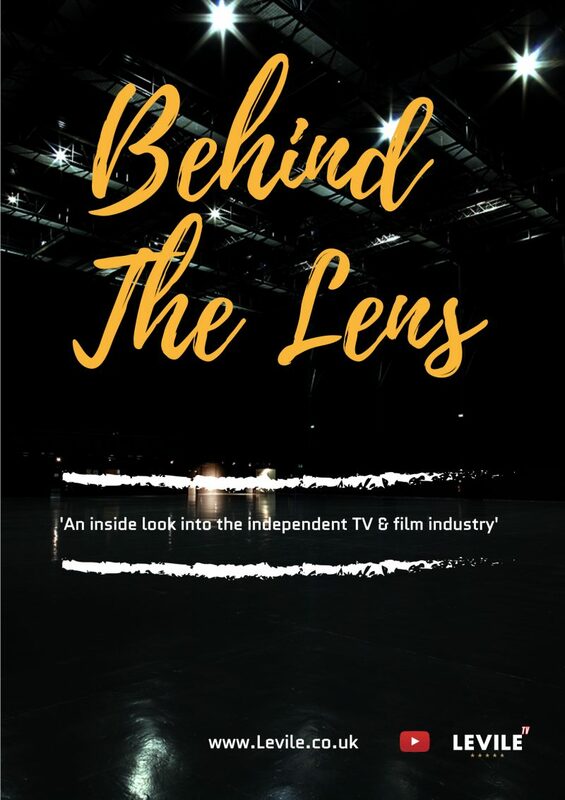 Behind The Lens is a new documentary series from Levile TV, a company with a mission to support BAME creatives in the television and film industry. Created by actor, filmmaker, director and founder of Levile Olaitan Olaoye, the documentary focuses on the journey of creatives and the film culture in the U.K. from a diverse perspective. Discouraged by the lack of information for entry level actors, writers, producers, directors from a black, asian or mixed ethnic & disadvantaged backgrounds, Olaoye, decided to go against the grain and interview a select list of creatives who are respected for the work they have compiled in the U.K.
Olaoye said: "Behind the Lens is part of a series of documentaries which we will make annually. It looks at how your favourite filmmakers attained commissions, the trials and tribulations faced and the challenges that arise within the BAME community when navigating the UK industry. We wanted to cover five main strands throughout the documentary – finance, politics within the industry, money, mental health and the success of BAME talent. There is also a positive aspect to the documentary where creatives can learn from the mistakes of their predecessors". Olaoye continued: "This documentary was a fantastic opportunity to hear from the perspective of new talent that will be future gatekeepers of our burgeoning industry…we would have loved access to more black women who are creating phenomenal content (part of the problem in our industry), however we are very happy with the talent on board who provided us with thought-provoking and highly stimulating answers…I want the audience to know the TV & film industry is not all glitz and glamour. People tend to see the end product and think making a film is very straight forward or attaining a commission is done simply through an email. We face daily challenges to elevate ourselves and others. I hope the audience will appreciate the other side of the industry from Behind the Lens…hence the title".